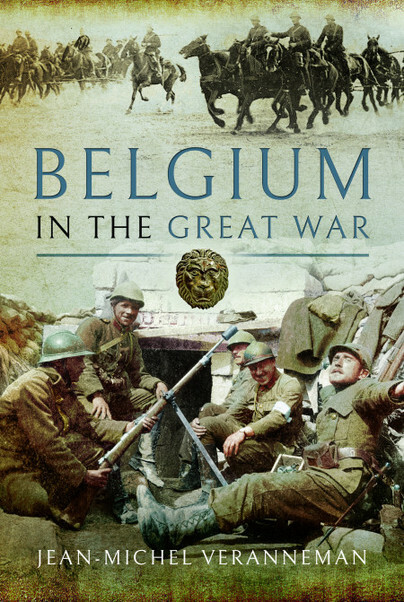 You'll be £15.00 closer to your next £10.00 credit when you purchase Belgium in the Great War. What's this? In August 1914, the German Empire invaded neutral Belgium in order to outflank the defences of the French army. Unexpectedly, the Belgian army resisted and fought on, holding a small part of unoccupied Belgian territory north of Ypres, alongside the British and French armies, until the Armistice of 1918. Because of their heroic defence, Belgium and its King, Albert I enjoyed enormous international prestige after the war. Its colonial army conquered part of German East Africa out of the Congo. Occupied Belgium suffered executions of civilians, severe destruction and was widely stripped of its industrial infrastructure, which was one of the most developed in the world. It was saved from starvation by food shipments from the United States which came in via neutral Holland. Belgium emerged from four and a half years of complete turmoil a different country and the experiences would have a lasting impact of its politics. Universal suffrage was introduced and the Flemish question was exacerbated. The war resulted in the abandonment of the country’s neutrality policy and her claims for reparation and territory, only very partially met, were to have serious foreign policy implications. Jean-Michel Veranneman served as a Diplomat and was an Ambassador in Mozambique, Portugal, Israel, Brazil and London. He lived in Belgium until his death in October 2018.